This year the Chinese New Year starts on the 8th of February. It is the year 4714 in the Chinese calendar. Hello year of the Monkey, bye-bye year of the Goat /Ram/Sheep! Gong Hey Fat Choy! That’s the traditional Chinese New Year greeting that means “wishing you prosperity” in Cantonese. Chinese New Year starts with the New Moon on the first day of the New Year and ends on the full moon 15 days later. The 15th day of the New Year is called the Lantern Festival, which is celebrated at night with elaborate lantern displays. 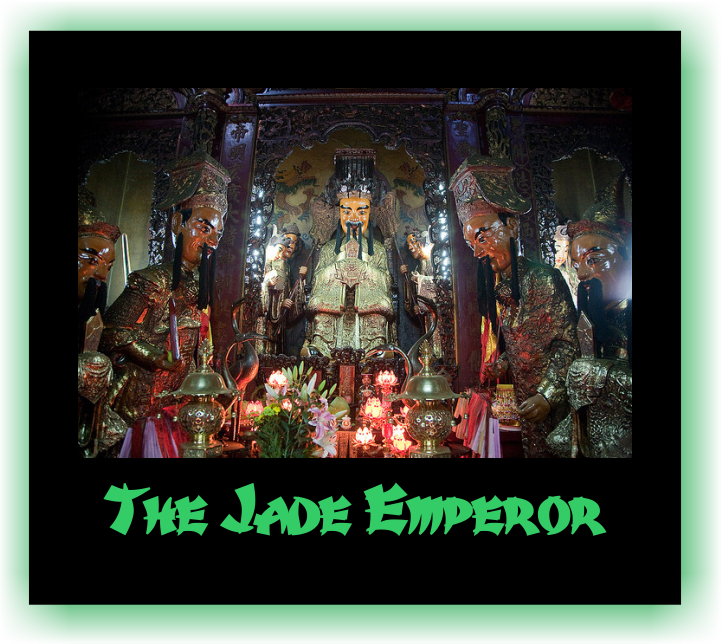 Some of the lanterns are works of art, painted with birds, animals, flowers, and zodiac signs. People hang glowing lanterns in temples, and carry lanterns to an evening parade under the light of the full moon. 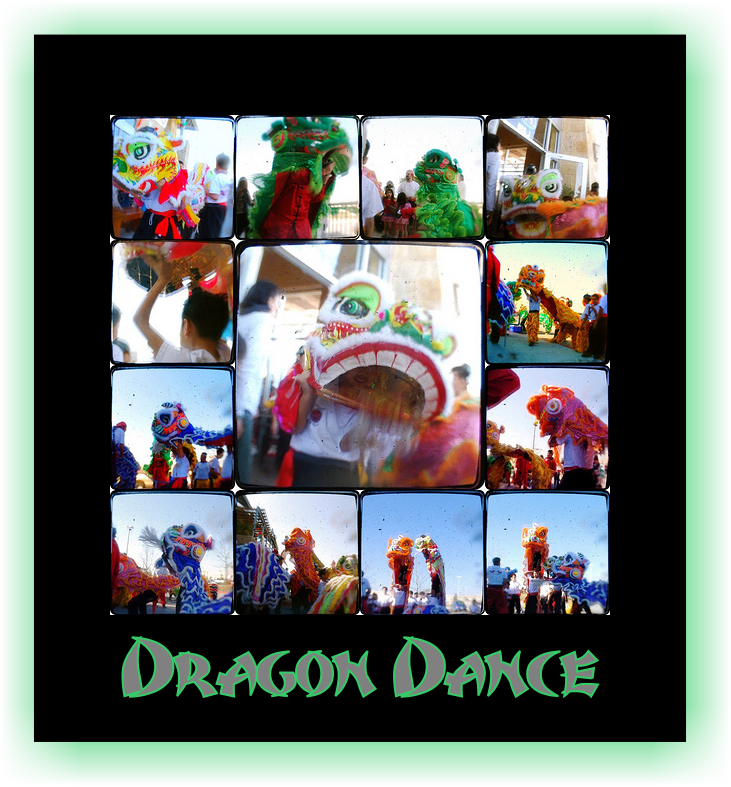 In many areas the highlight of the lantern festival is the dragon dance. The dragon, which might stretch a hundred feet long, is typically made of silk, paper, and bamboo. Traditionally the dragon is held aloft by young men who dance as they guide the colourful beast through the streets. 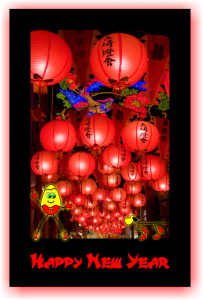 Chinese New Year is celebrated in countries and territories with significant Chinese populations, including Mainland China, Hong Kong, Macau, Taiwan, Singapore, Thailand, Indonesia, Malaysia, Mauritius, Philippines, and also in Chinatowns around the world. The Chinese New Year, or Spring Festival as it’s been called since the 20th century, remains the most important holiday in China. 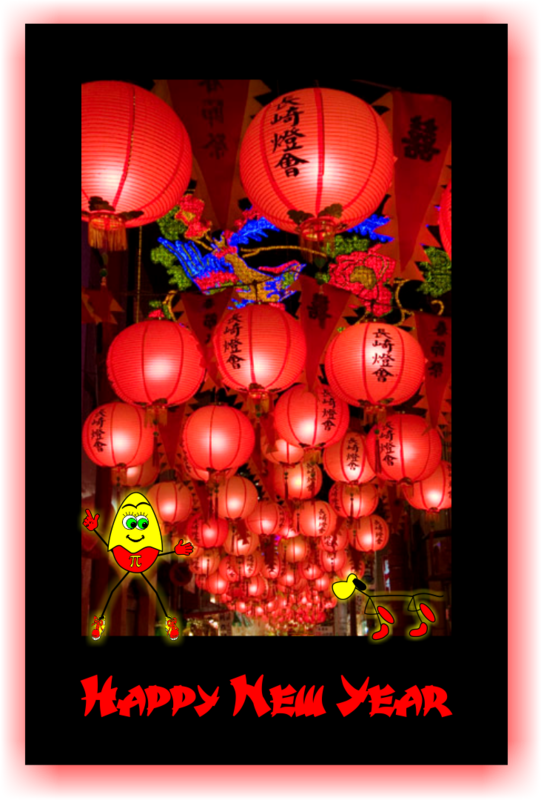 It’s believed that the first Chinese New Year celebrations took place at least as far back as the 14th century BCE, possibly earlier, making it the world’s longest running, annual party – Yay! According to tales and legends, the beginning of Chinese New Year started with the fight against a mythical beast called the Nian. 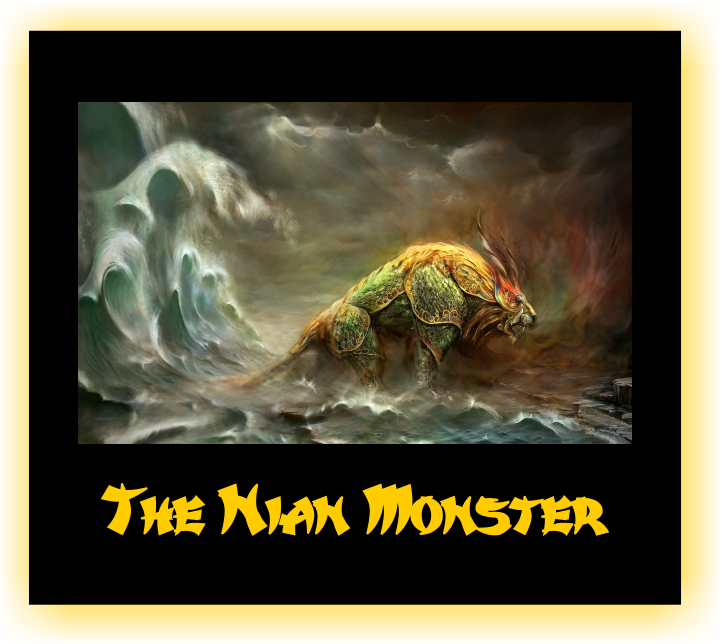 Nian would come on the first day of New Year to eat livestock, crops, and even villagers, especially children. To protect themselves, the villagers would put food out for the beast. They believed that after the Nian ate the food, it wouldn’t attack any more people and leave them alone. One time, people saw that the Nian was scared away by a little child wearing red. The villagers then understood that the Nian was afraid of the colour red. Ever since that discovery, the villagers would hang red lanterns and red scrolls on windows and doors. People also used firecrackers to frighten away the Nian. From then on, Nian never came to the village again. That is precisely why today there are so many red coloured things during the Chinese New Year celebrations, ranging from the red lanterns, red dragons and red envelopes to the red firecrackers. What’s with all the animals in The Chinese Zodiac? 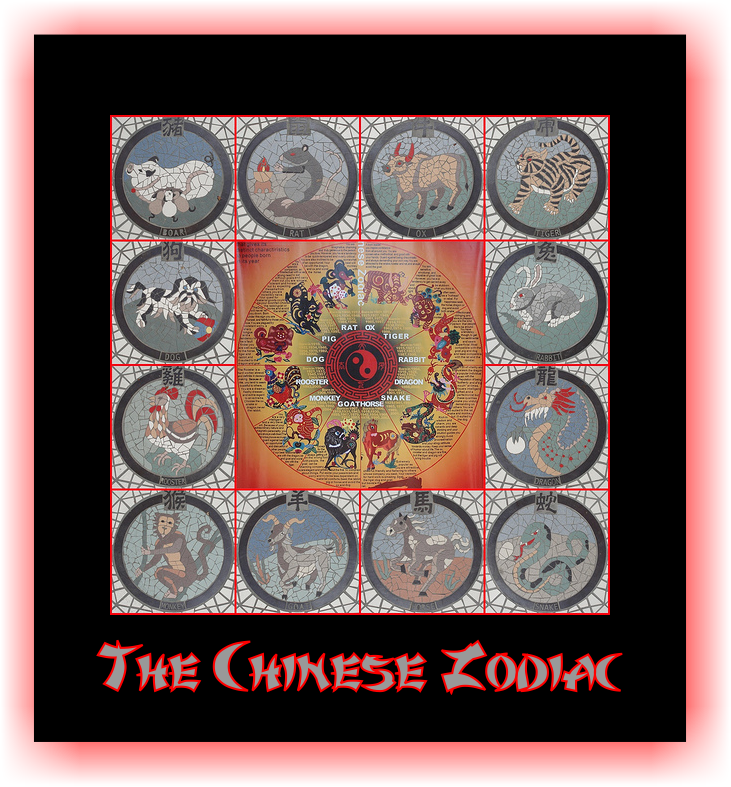 The Chinese Zodiac is determined by the Chinese Lunar Calendar and is based on the cycles of the moon, unlike the Western or Gregorian calendar which is based on the solar cycle. 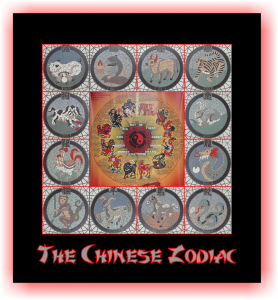 In Chinese astrology, because the moon’s cycle repeats itself every 12 years, there are 12 animals in the Chinese Zodiac – one for each year of the lunar cycle. The 12 animals in the Western Zodiac are assigned to each solar month. 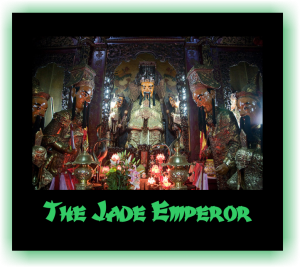 Long ago, the Jade Emperor was going to elect twelve animals to represent the twelve calendar years. So he invited all animals to participate in a swimming race across a wild river. The first 12 animals to cross the river would appear on the Chinese Zodiac calendar in the order in which they completed the race. They called it “The Great Race”. There are many variations to the legend of “The Great Race”, but the most popular story is that the rat used trickery to cross the finish line first and therefore have the first year of the calendar named after him. Here is our abridged version of the story: The rat and the cat were good friends at that time and they had asked the ox if they could cross the river on his back. In return they would guide him through the river as his eyesight was not very good. The ox agreed and off they went with all the other animals. They had almost reached the other bank when the rat pushed the cat into the river leaving him to struggle in the water. Then just before the ox was about to win the race the rat leapt on his head and on to the bank to finish first. The ox came in second, the tiger third, and so they went… the pig came in last. And that is why the first year is named after the rat and the second after the ox. The cat has no year named after itself as it never finished the race. That is also why cats hate rats and are not crazy about water either. 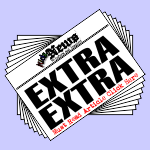 If you want to know how the other animals did in the race, please look it up – this is a newspaper, not an encyclopaedia! All we can say is that some animals took a raft – What!? The order of the twelve winning animals is: Rat, Ox, Tiger, Rabbit, Dragon, Snake, Horse, Sheep, Monkey, Rooster, Dog, and Pig. ← The Australian Open is now open!